For a detailed look at how to add the Webroot integration to your BrightGauge, visit here. 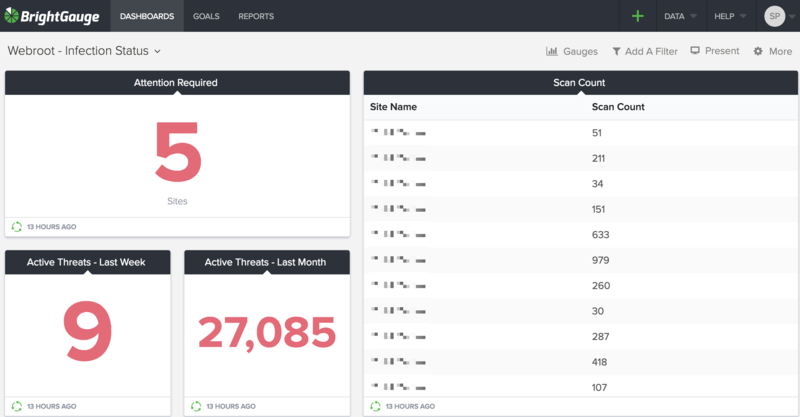 Announcing the latest integration to launch at BrightGauge: Webroot! Webroot is a powerful cybersecurity software that pairs really well with BrightGauge by allowing you to stay on top of devices that need your attention. Some of Webroot’s main features include antivirus and antispyware protection, firewall capabilities, online backup, password management licensed from LastPass, protection against identity theft and credit card monitoring for US customers. Many of our customers are already Webroot users and a lot of you have been requesting this integration for a long time. We’re happy to finally add this datasource to our roster so that you can begin monitoring and managing security operations for your business. Connecting with Webroot is easy. Once you’re in your BrightGauge account, visit the datasources panel to find Webroot and simply enter your credentials. Our support page includes a step-by-step guide for getting started. What can I get right out of the box? The whole point of BrightGauge is to make it easy for you to view all the data you care about in one place, so we also want to make it easy to get started as soon as you open an account. That’s why we deliver out-of-the-box gauges, dashboards, and reports for all of our integrations, which you’ll find when you’ve connected to Webroot. 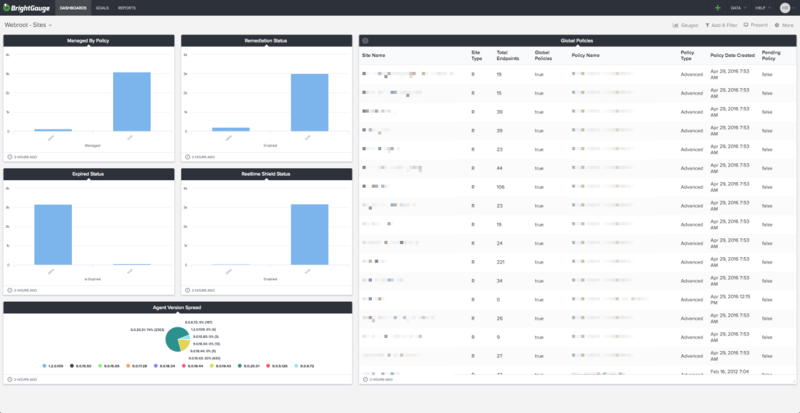 Of course, you always have the freedom to customize your dashboards and reports to display the exact information you want, and our support team is always available to lend an extra hand. 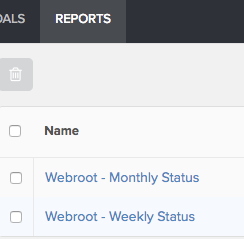 We’ll be adding more Webroot defaults over time, but for now get started with two pre-built dashboards and 15 gauges with corresponding reports. When it comes to cybersecurity, you really want to prevent disasters by being proactive and catching any glaring issues immediately. Default gauges like Attention Required, Infection Status, Realtime Shield Status, Sites, Scans and more help you stay ahead of the game. There are two default dashboards that come with your Webroot integration: Infection Status and Sites. Infection Status will give you a look at the sites that require your immediate attention and how many active threats you’ve received this week or month. 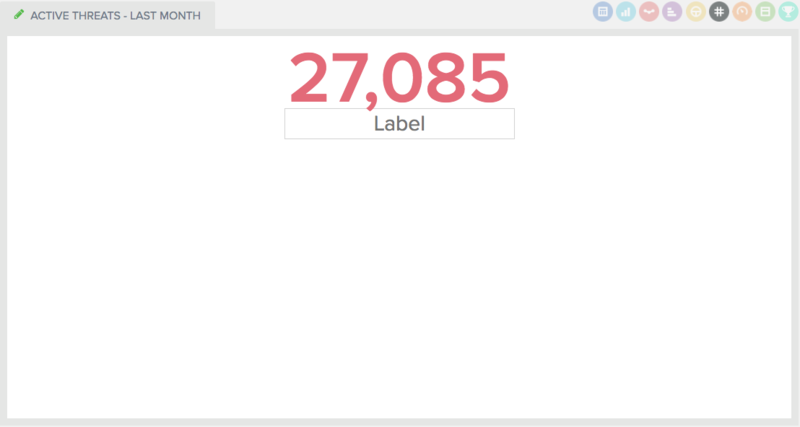 Sites will display details for each particular site. Remember that you can always drilldown further to get more detailed information. Currently, we have two report templates ready to go, which are generated from our default gauges. One is a Weekly status report and the other is Monthly. We recommend that you kick things off with these templates, but then go ahead and customize them so that they display exactly what you or your client want. 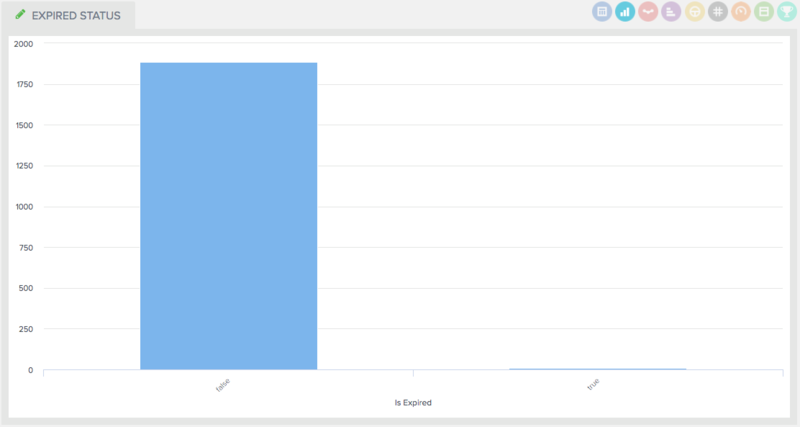 With BrightGauge, you can set up a report once and then set it to automatically go out on a recurring basis. Once you’ve got a handle on your data and your KPIs, you and your team can set action-driven Goals that can be tracked each week. This is a really awesome way to establish a culture of accountability and motivation and to run a more productive organization! We love hearing from you, so please make sure to leave us some feedback if you’re looking for more out of your Webroot integration. If you’re ready to upgrade your plan to include more datasources, reach out to our Success team.